A Uyghur farmer talks about his struggle against forced crop production in China’s northwestern Xinjiang Autonomous Region. A farmer from China’s impoverished northwestern Xinjiang region was turned away by authorities in Beijing after he went there demanding compensation for a failed compulsory crop plan. Hakim Siyit, a farmer from Yengisar county, in Xinjiang’s western Kashgar prefecture, blamed the secretary of the communist party’s county branch for the plan’s failure, which called for all farmers in the county to grow the same crop and did not anticipate oversupply. According to China’s Law on the Popularization of Agricultural Technology, any entity causing loss to farmers through the forced adoption of technology is required to repay total damages. Siyit made his way to China’s State Council in Beijing last September to lobby on behalf of his fellow farmers. When he arrived, hundreds of other petitioners waiting to file their grievances were registering with the Council according to their home region. “There were eleven people from Xinjiang out of nearly 700 people in total. I was the only Uyghur there. I did not know what to do. I only speak a little Chinese. 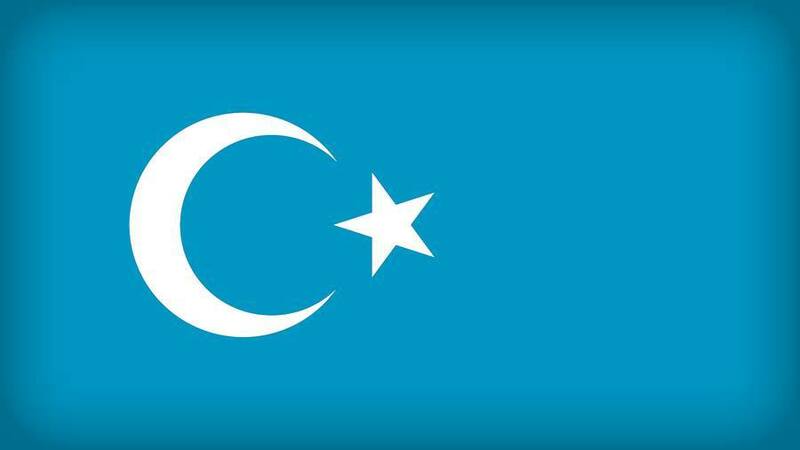 I was worried that they might take me somewhere and no one would know about it,” Siyit, a member of the mostly Muslim Uyghur ethnic group, said. “A Chinese man came and asked why I was there. I tried to explain what had happened in our county, but the man said he could not understand what I was saying and took me to the Public Affairs Office of Xinjiang in Beijing so that he could talk to me through a Uyghur translator…After taking me there, they locked me up in a hotel room,” he said. Siyit said that he was not allowed to leave the hotel and was refused an explanation as to why he was being held. Later, two Uyghurs from the Kashgar Public Affairs Office took him with them and installed him in a guard’s room with another man. “They told me not to leave. I said ‘We are not animals and we have the right to file complaints and report problems.’ I told them that they could not just detain me, as I had come all the way [from Xinjiang] on behalf of my people,” Siyit said. Eventually, police officers from Yengisar county came to take Siyit home. “I took my bag and tried to escape, but they dragged me back and told me to return with them. They said that I had spent so much [money] to go to Beijing, and promised me that the prefecture-level government would investigate the problem,” he said. Siyit told the police officers that he had spent nearly 2,000 Yuan (U.S. $290) during his 23 day journey to Beijing. He was told that all of his expenses would be paid if he would agree to return. “They gave me 100 Yuan (U.S. $15) before I took the train. I asked them about the rest and they said it would be handled when we returned. But that never happened. That was the end of it,” Siyit said. Siyit claims that a compulsory “long bean” production plan was put into effect in 2007 for Yengisar county in Xinjiang’s western Kashgar prefecture, resulting in heavy financial losses for farmers when harvest supply grossly overshot demand. Later that year the plan was repeated with similar results. In all, Siyit says, the farmers of Yengisar county suffered nearly $50 million Yuan (U.S. $7.3 million) in lost profit, loans that they could not repay, and equipment they could no longer use. “You can dial any random number [in Yengisar] and ask about long beans…they will weep if you ask them about it,” Siyit said. Siyit said that the 12 villages in Yengisar county have a combined population of 240,000 and that Yin should have expected that forcing everyone to grow the same crop would lead to oversupply. “Being the secretary, he should have known that the supply would be much higher than the demand, and there would a lot of waste,” he said. “If only the secretary had organized it so that one village would grow long beans, another would grow tomatoes, another peppers, and another eggplants…” he said. Siyit said that he and several other farmers have been trying for over two years to file a complaint about the planning policies of Yin Xiaoliang, secretary of the communist party’s Yengisar County Branch. In those two years, he was detained by county authorities for 15 days in Yengisar and, after vowing to continue his fight, has since been bounced around to several departments at the county, prefectural, regional, and national level. “There are few places left that I haven’t been to for this. I went to the Xinjiang regional government in Urumqi five times. I went to Beijing once. To Kashgar, I made 13 or 14 trips in total,” Siyit said. Siyit created a film documenting the reaction of the farmers to news that they would be forced to plant long beans again not long after the failure of the first crop plan, but officials weren’t interested. “Over the last year and half, no one at the meetings of the disciplinary inspection committees was interested at looking at the video. Not even at the autonomous region’s government level. I literally had to thrust the video into their hands for them to take it,” Siyit said. “They did not investigate, only saying that such things happen. Around the time of Eid [the holiday marking the end of Muslim Ramadan] the police came and warned me, telling me to be quiet or I might become a victim,” he said. A government official with the Disciplinary Inspection Committee of Kashgar prefecture, who did not provide his name, said he was aware of the farmers’ petition. “Originally we considered going to Yengisar country together with an agricultural business management group to investigate the case, but when we asked permission [from deputy secretary of the prefecture’s party committee Zhang Jian], he stopped us. We were told ‘You shouldn’t go, let the county leader investigate first,’” the official said. “Of course [the prefectural officials] will protect him. The county and prefecture should have same viewpoint and the county will carry out the prefecture’s order. If the higher-level officials don’t protect the lower-level officials, how would they expect them to follow orders later on?” the official said. Siyit said that he plans to continue his fight, despite the hardships he has faced, so that he can bring justice to the farmers of Yengisar county. “I have no regrets for what I have done. When I was at the police station, I told them that I would continue to seek compensation for the 50 million yuan loss as soon as I was free,” Siyit said. “I just wanted to go [to Beijing] for the benefit of people, hoping to get a good answer. The fact that I did not know Chinese cost me a lot…It was as if I could not speak and I could only weep for my complaints,” he said. Original reporting in Uyghur by Shohrat. Uyghur service director: Dolkun Kamberi. Written for the Web in English by Joshua Lipes. Edited by Richard Finney. China’s Communist Party drives the country’s 1.3 billion people with scant regard for their welfare, and the country’s nascent civil rights movement holds the main hope for political change, a former top official says. Agitated petitioners are seen during a gathering in Beijing on Dec. 3, 2007 to protest against corruption. Deng was calling for legislation where Mao did not. Deng in fact had less of a grasp of the rule of law than Mao did. But he lacked Mao’s confidence and force of will when it came to anarchy, and so he had to call on the authority of the law to back up his “Four Upholds.” He was tenacious about this, and in 1982 he achieved his aim, when the four principles were enshrined in the Constitution. And there they became four sticks with which to beat the executive, the legislature, and the judiciary, and became principles that drove all other forms of law before them. The important thing to note here is what has happened with the phrase “the core principle of the Four Upholds.” In a flash, it revised Mao’s road map in a radical way. According to Mao’s “Six Criteria,” the two most important of the six are adherence to the socialist road and supporting Party rule. By the time we get to Deng, it is expressed as, “At the core of upholding the four principles is upholding Party leadership.” This condenses Mao’s two principles into just one: Party leadership has been elevated to the status of core principle. So what happened to socialism? By now it is lagging far behind, and it will never again be the most important principle. Is this a case of the Communist Party being founded on an ideal, or is it the case that the whole raison d’etre of the ideal is to support the rule of the Communist Party? Is the tail wagging the dog? This is a key question. Mao Zedong never answered it. Deng, at least, answered it by saying that the ideals of the Communist Party were less important than ensuring it continued in power. Power had triumphed over ideology, which was now to be made to serve Party rule. This was the main innovation of Deng Xiaoping’s political theory, and it turned him into the biggest political theorist in the Communist Party. It also turned China’s Communist Party into a Communist Party without communism. Just as the silkworm, in the process of metamorphosis, turns into another creature and flies away on new wings, so the Communist Party cast off the chrysalis of socialism and flew away on the new wings of Party rule, free to choose a new direction. Once staying in power was taken as a guiding principle, then there was no need for debate any more. What is Marxism? Nobody discussed it. What is socialism? Nobody debated that either. The right of the Party to rule decided everything. Whatever the Party said, that was “Marxism.” Whatever the Party decided it liked was “socialism.” Whatever oppression was ordered by the Party, even if no legal formalities whatever were observed—whether in searching people’s homes or keeping them under house arrest, arresting them, or mowing them down with bullets—came under the “dictatorship of the proletariat,” so that Marx would have to bear responsibility for it. What sort of reasoning is that? It is reasoning with Chinese characteristics. Any objections can be surmounted if you add the phrase “Chinese characteristics” to something. Fixed elections, well, they’re elections with Chinese characteristics. Anarchy? The rule of law with Chinese characteristics. Keeping ordinary people in the dark, not allowing them access to so-called state secrets, becomes financial and fiscal administration with Chinese characteristics. I leave it to you to imagine what a republic with Chinese characteristics might look like. A core principle that can’t be curbed by any other gives rise to the three other tools it needs for fulfillment, and the dragon is complete. Whether we plan our economy or use the market is a matter of method. The thing to worry about is the Four Upholds themselves. As one might expect, the Four Upholds with continuing Party rule at their core are in fact an extremely efficient tool for getting anything done. It is a system engineered to make sure the people are governed by the interests of the Party, engineered so that the Party can drive China’s billion-strong population before it in any direction it chooses. It doesn’t matter what the task is; the system is up to the challenge, up to mowing down everything in its path, however fruitful, up to dealing with sudden incidents, up to trying the signatories to Charter 08 in court; there is nothing it can’t handle smoothly. It is the unrivaled world champion. But the new era also brings with it a new question. The champion is very good at protecting the Party’s political power, but does it have the same kind of zeal when it comes to protecting the rights of its citizens? Thank you to my readers and listeners for casting an eye over a few old images with me. We have now returned to where we started, with “Not introducing reforms will take us down a blind alley.” We have wandered down memory lane to China as it was when Mao Zedong breathed his last, and bowed respectfully in the direction of the demonstrations on Tiananmen Square on April 5, 1976, the source of vast reserves of anti-Maoist feeling, tapped and welling up among the Chinese people who rose up in silence and great numbers. The banners calling for the smashing of the Gang of Four and the healthy hubbub of the Third Plenum both sprang from this source. Our great and mighty reforms began amid the background noise of debate, sometimes shouted, sometimes whispered, in villages and towns across China, and amid uncertainty, as we all felt our way blind across the river. With many a wobble and uncertain step, we somehow got through the next 10-20 years. After all, that’s how history happens. Perhaps some people, the kind who are obsessed with planning everything, might look down on such things, but history can happen without being processed through the brains of giants. Something was coming unstoppably into being in Chinese society, and it kicked off the entire process of de-Maoification in China. The Party’s insistence on leadership was allowed to suppress the Chinese people, and the reforms were cut off in their prime. But it hasn’t managed entirely to quash the Chinese people, or to prevent the continual slackening and tightening of tensions between various forces in Chinese society, movements that gain and lose ground, movements that grow and disappear, and it’s these social tensions that are now the deciding factor. Under the influence of the four principles, the nature of the reforms changed, and they were surreptitiously turned into something completely different. Of all the grassroots movements that have happened in the past 10 years, the one most worthy of notice is the civil rights movement. There are mass actions to defend civil rights in every city and village in the country, one every five minutes, in a phenomenon which is both unstoppable and impossible to hide. The civil rights movement is extending its influence into every domain: from appeals and complaints about grievances and official wrongdoing, to health and safety, to land and property rights, to the right to religious freedom, to the right to ethnic autonomy, to the right to supervise those in power, and the right to self-expression and to vote. Under the influence of the long-suffering masses and some political dissidents, the concept of civil rights has now broadened out to include everyone: journalists, writers, lawyers, consumers, office workers, entrepreneurs, and civil servants. I have no doubt that the civil rights movement will continue to spread and deepen. Civil rights are the right way to go; anyone who opposes them is swimming against the tide. If Luo Ruiqing, Peng Dehuai, and Liu Shaoqi were still alive today, I think they would be in favor of civil rights too. Clause 2 of the Constitution reads: “All power in the People’s Republic of China resides with the people.” That’s why it’s called a republic. This is axiomatic. And if the people’s rights can be blown away by a sudden gust of wind, then the republic is no longer worthy of the name. So I urge anyone who cares about China’s future, when they are reading up on the Chinese Communist Party’s work reports, that it would be a good idea also to make a collection of all the accounts of civil rights actions in China’s cities and villages, a “Record of the Civil Rights Movement,” and to study it, and value it. Because that record has now far surpassed those reports in value. It will be that record that decides the future direction that China will take, that will even seal the fate of the four principles themselves. The unfinished business of reform will be carried out by China’s civil rights movement. If the people can defend their rights, and are really given their due; if the state can bow to public opinion, and civil servants actually serve; if the people can supervise the bureaucrats, who cast off their so-called God-given right to rule; then there is hope for China. In a climate where the nature of reforms has been modified into something else, China’s hopes lie with a peaceful, legal, steadfast, and persistent civil rights movement, which will use civil rights activism to implement the Constitution, and save this country and its people. I will conclude with some lines that I wrote in 2006: During the past half-century, China has been mired in the hysteria that comes with one-party dictatorship. We may have a chance of actively resolving, and of peacefully resolving, all the major social conflicts in Chinese society, through the reform of the one-party dictatorship by the civil rights movement. Now the Chinese people have moved into the era of civil rights for the masses, in which the dark times of corruption and dictatorship will be no more. This era will bring instead justice, liberty, rationality, and new life. The road to civil rights also leads to the building of a democratic system, and to the establishment of a system of dialogue and consultation in which the main social themes can be represented. It will lead China out of deception and into a civilized society. This is a universal truth. This is how the modern world emerged, and China’s modernization will depend upon it too. Original essay by Bao Tong, broadcast on RFA’s Mandarin service. Director: Jennifer Chou. Translated by Luisetta Mudie. Edited by Sarah Jackson-Han. Bao Tong, a former top Communist Party official, says China’s political system has a disastrous lack of checks and balances, calling it a terrifying juggernaut. Part 5. Is China Out of the Dead End? Prosperity should be celebrated. It is better to have a few people get rich before everybody else than for everyone to stay dirt poor. It is better for our economy to approach the world ranking that it had during the time of the Northern Warlords than it is for it to lag behind even that benchmark. This is common sense. But it is also normal for people to be worried that per capita GDP is falling; to be aggrieved that our labor is sold so cheaply; and to be full of resentment that officials seem to be getting more and more corrupt. Some people are using the anniversary of reforms as an excuse to sing songs of praise for their feudal rulers, and for the four principles. Obviously, they have a need and a desire to do this. But reforms have been cut down in their tracks, as the events of Tiananmen Square bear witness. In a political climate that clings so firmly to the four principles, can China truly be said to have got out of its dead end? In today’s China, many new things are emerging: We have the market, and yet it is plain to see that is controlled by those in power. Economic resources and interests are being divided up according to Party strategy and Party direction. Political power and wealth rise in direct proportion to each other. The pyramids are being built from the flesh and blood of powerless peasants and migrant workers. Those who get rich are able to consume tens of thousands of times more than China’s rural families. This rising China is showing off its wealth and happiness to the whole world. Some people are saying that socialism no longer exists in China. Others counter this by saying that the fact that most people see only the pyramids, and not the dark vaults beneath them, is testament to the power of socialism with Chinese characteristics. So what is this socialism anyway? It means that power resides with the Communist Party. I am not qualified to engage in, neither am I interested in, word-games. The problem I have always had with all of this is, and remains: Can socialism with Chinese characteristics get us out of this dead-end street? The Cultural Revolution was supposed to be a thing of the past, but the  Tiananmen crackdown was just a new version of it. And its singing ensures that we will see endless repeats of the so-called “Lesser Tiananmen Square incident.” The tools of dictatorship being used to stamp out the legitimate desires of a peaceful population. Violent authoritarianism has become a blatant part of the daily life of our harmonious society, a typical sight on our Chinese landscape. Old slogans such as “The guiding principles of grain and steel” are long dead now, and shiny new ones such as “the hard reasoning behind development” spring to people’s lips. Even more fashionable is: “Representing the most advanced productivity.” The new slogans are just like the old: They rely on the sheer brute force of the State to push their agenda forward. How can agricultural land, homes, and village enterprises, hope to be more “advanced” than power stations, airports, and theme parks? There has been a sudden and universal deterioration in the quality of our environment and in our natural resources. The air and water have been spoiled. Forests, grasslands, and farmland have been laid waste by the mining industry. If someone were to say to me now that in a brief decade we could surpass the work of the past 1,000 years, I’d believe them! Looking at it dispassionately, we could say that it didn’t all go wrong with a saying of Mao Zedong’s, or a slogan from [Jiang Zemin’s] Three Represents, or because of something Deng said. These people are citizens too, and they have the right to speak. I’m sure they have uttered countless pearls of wisdom, even if they were carried away by passion at the time. They are no more eccentric or ridiculous than things other people might say. It’s not that hard to alter policy, in fact. What’s terrifying is the momentum that is self-perpetuating within the system itself. It’s the lack of checks and balances. Something that starts out as a fairly small error that should be easy to correct, as soon as it is let loose, becomes very hard to put right, and frequently turns into a huge mistake. This is an almighty juggernaut of a system that has remained fundamentally unchanged for decades. The upholding of the four principles enshrined Mao Zedong’s, Deng Xiaoping’s, and [Jiang Zemin’s] Three Represents in the Constitution, which surprisingly no one found disturbing at the time. It was done in a big hurry, and not only did they manage to get them enshrined in law, but they also set them up as an altar at which bureaucrats must worship, and as a religion ordinary citizens are forced to follow. What civilized country would allow such a thing to happen? This could happen only in China. China, resolutely upholding the four principles, has embalmed its former, unelected leaders, one after another, in law. What is this? This is pathological, the pathology that comes of enforcing a single line of ideology. It is pathological because it’s so weak that it has to go begging cap in hand to the State for support. We shouldn’t underestimate this pathology. It is just one part of a whole syndrome of sickness that comes along with the four principles, with their coercive nature, their ability to numb people’s minds and bind them hand and foot until they are left unable to cling to their own lives. Next, if you will permit me, I want to look at the differences between Deng’s four principles [also expressed as the “Four Upholds”] and the “Six Criteria” of Mao Zedong. Original essay in Chinese by Bao Tong, broadcast on RFA’s Mandarin service. Director: Jennifer Chou. Translated and produced for the Web in English by Luisetta Mudie. Edited by Sarah Jackson-Han.